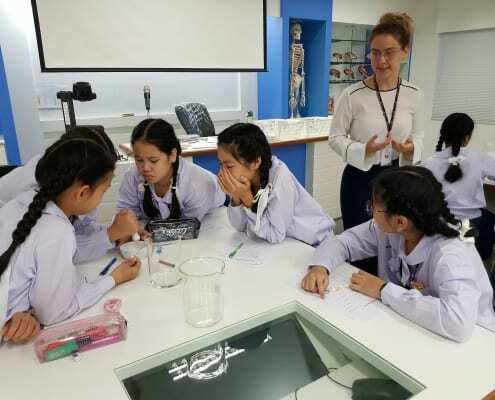 As a former employee of Thailand Supahnburi English Teacher Agency I highly recommend the agency to teachers looking for employment in the Suphanburi area of Thailand. I was placed in a primary school teaching position by TSETA in October 2013 and remained employed for my agreed upon contract period through March 2014. 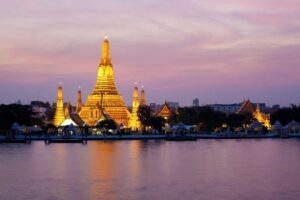 Here I tell you a little more about how TSETA supported me all the way and why you too should use TSETA’s free recruitment services in Thailand! I was surfing the internet for traveling a year around the world after university, when I stumbled upon teaching English as a way to pay for my adventures. 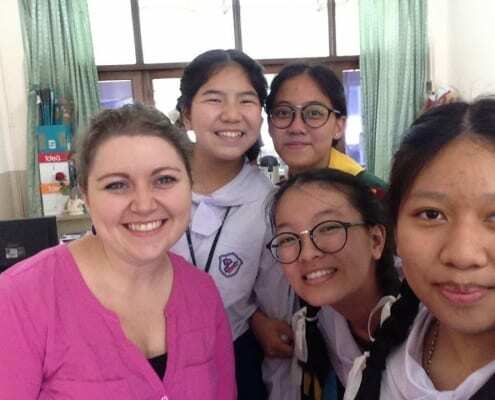 I sent my resume via e-mail to a recruiter and a few months later I was teaching English at a public school in Thailand. All they asked from me was that I showed up with my US passport and university diploma in hand. I didn’t have any teaching experience and never even heard of TESOL certification. Everything was great in the beginning! I got picked up at the airport, I had a chance to speak face-to-face with the recruiter and thank him for getting me the TESOL job, and I met with a Canadian girl in her early 20’s and a Aussie man in his 30’s, who would turned out to be great friends and travel buddies. Then came the first day on the job, which was a nightmare. I will always remember the time my 4-year-old Thai student, Queen, shouted “one more time!” when she wanted to sing the “If You’re Happy and You Know It” song again. If I hadn’t been searching for an interesting way to teach vocabulary, I may never have stumbled on the American Sign Language method. 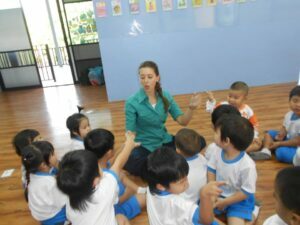 There are hundreds of language schools in Thailand – maybe more. A great number of them are in the capital, Bangkok. 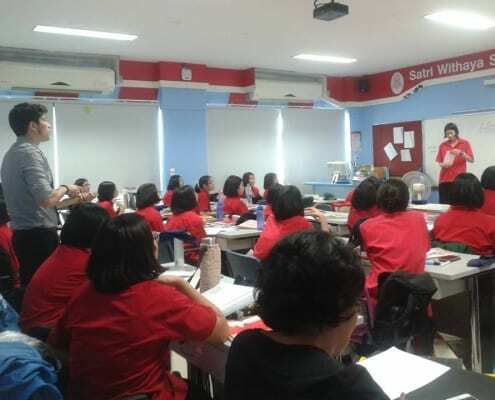 My advice to those who want to teach English in Thailand can be summed up in four words: presentation, enjoyment, methodology, and hours. Keep in mind that this is solely based on one teacher’s observations of a few language schools out of hundreds.